So, you know that classic dish, the green beans, with the can of soup and the crispy onions? It’s the one dish that is always leftover after my family’s Thanksgiving meal. This year, I’m throwing out the classic green bean recipe because I’ve figured out how to cook green beans in a way that everyone will love – it’s a colorful, flavorful seasonal recipe that plays with the other flavors of the holiday meal wonderfully! 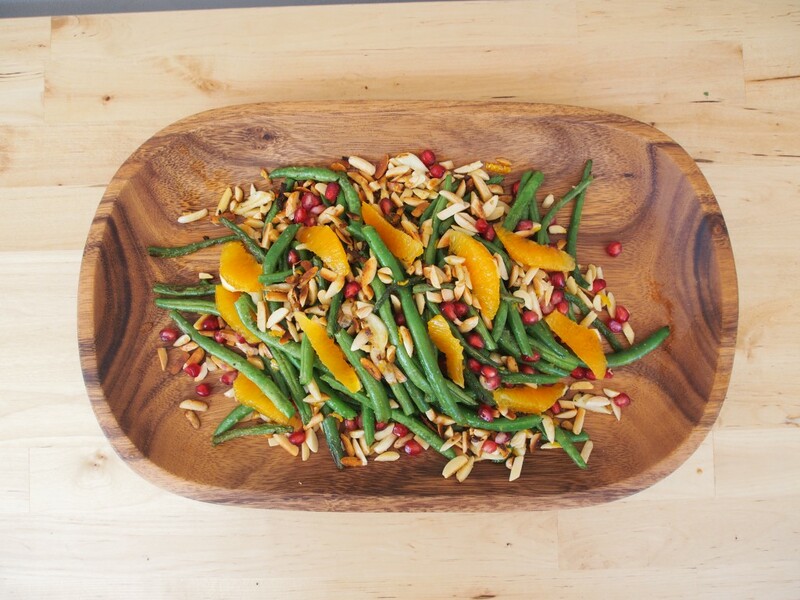 Bonus for anyone contending with allergies or dietary restrictions: This recipe for fresh green beans is a vegan, gluten free thanksgiving recipe that even the most traditional eaters will enjoy! It’s a twist on the classic green beans almondine that really brings a lot of color to the table – just look at how pretty it looks here! Want even more green bean recipes? Scroll on down past the recipes for a taste of some of our other favorites from around the web! Let’s get cooking. 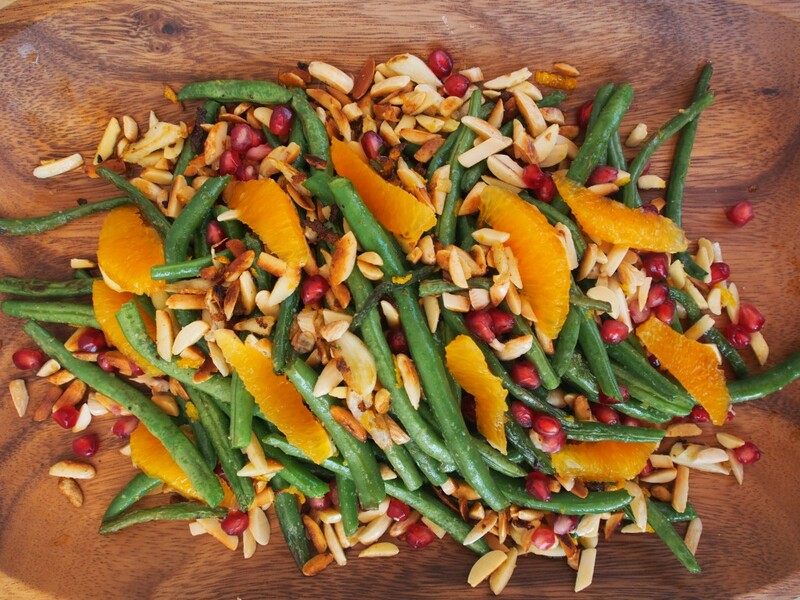 Here’s our Thanksgiving recipe for green beans with almonds, pomegranates and oranges. It’s a little sweet, a little salty, and SO flavorful that I almost prefer it to turkey. No joke, it’s that good. Plus, it only takes one pan and one burner to make – huge bonus on a holiday when burner space is harder to get than Superbowl Tickets. Prepare your oranges. This recipe uses pretty much every part of the orange, so zest them, set the zest aside, cut out the sections from between the membranes, (video here) and squeeze the juice from the membranes into a bowl. Prepare your pomegranate. Here’s our video on how to get the seeds out. Remove the seeds and set them aside. They’re the last thing you’ll use. Heat your largest skillet to medium heat. Add half of your olive oil, the garlic, and the almonds, stirring regularly until they’re golden brown but not burnt. Pay extra attention to this step, as it’s extremely easy to burn almonds and garlic, and they’ll make the whole dish taste bitter. Once they’re done, remove to a small bowl and set aside. Adjust the heat on your skillet to medium high. When hot (a drop of water should sizzle) add the rest of your olive oil and your green beans. Add salt at this point, as well. Once the beans are tender, add in the orange zest, orange juice and orange segments. The juice will sizzle and steam a lot. Sprinkle with pomegranate seeds and your almond/garlic mixture and serve! There you have it, A stunning, vibrant part of any holiday meal. This is the perfect fresh, bright, healthy thanksgiving side to serve along with some of the heavier dishes. It’s also quick to make, so it doubles as a wonderful weeknight option – it’s great with roast chicken! Now I know we promised you some other favorite Thanksgiving vegetable dishes. Here are a few, from some of our favorite bloggers! 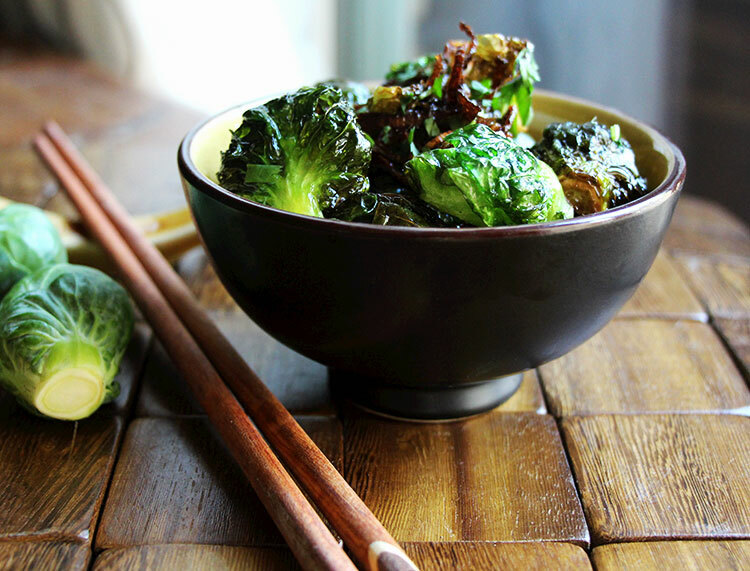 Brussels sprouts are trendy and delicious! These Fried Brussels sprouts from Hilah Cooking are beyond delicious. With the fish sauce and rice vinegar, they have a bit of Asian flare, but are traditional and subtle enough to pair with a more basic Thanksgiving menu. We’re pretty impressed, and addicted. 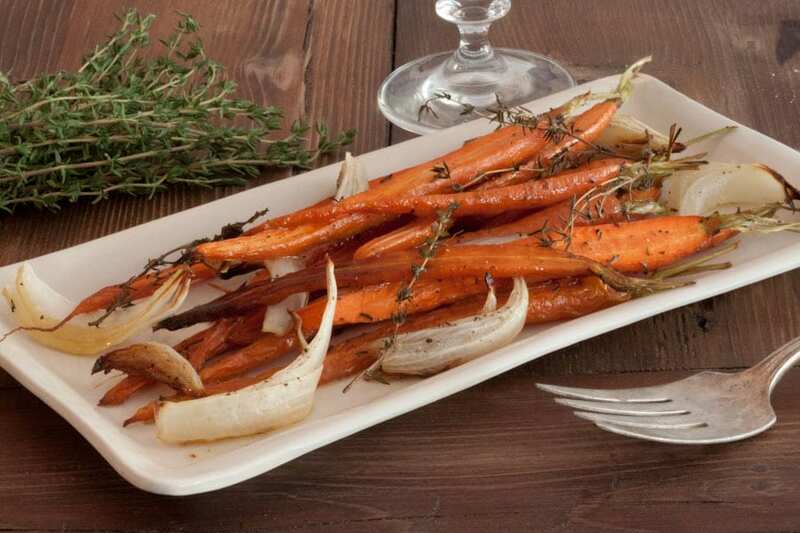 Another dish that we’re bringing to our Thanksgiving table this year is this insane recipe for Thyme and Honey Roasted Carrots from Whats Gaby Cooking – the fact that they’re easy to make AND super flavorful makes them a delightful Thanksgiving option. Plus, I love carrots and easily go through a pound a week. How can I NOT have carrots on my Thanksgiving table? Salad? For Thanksgiving dinner? Absolutely. Not only do I have awesome salad bowls to put it in, but I love having something fresh to contrast all the heavy, carb-filled foods of the season. 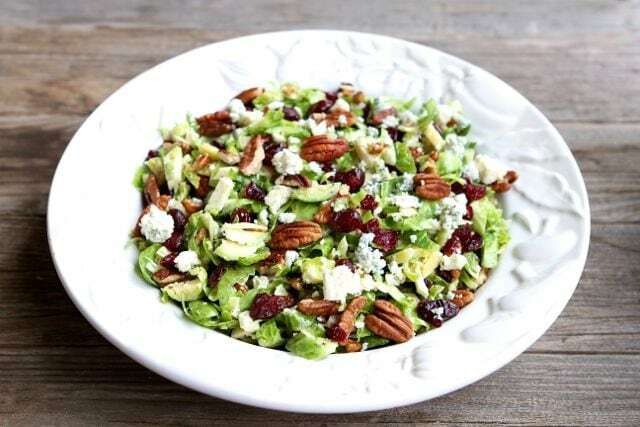 This salad from Two Peas and Their Pod is studded with pecans and dried cranberries. I always make a huge batch – unlike traditional lettuces, the greens in this salad don’t wilt, so it stays beautiful for leftovers the next day, and is great with sliced turkey! What are you making for Thanksgiving this year? 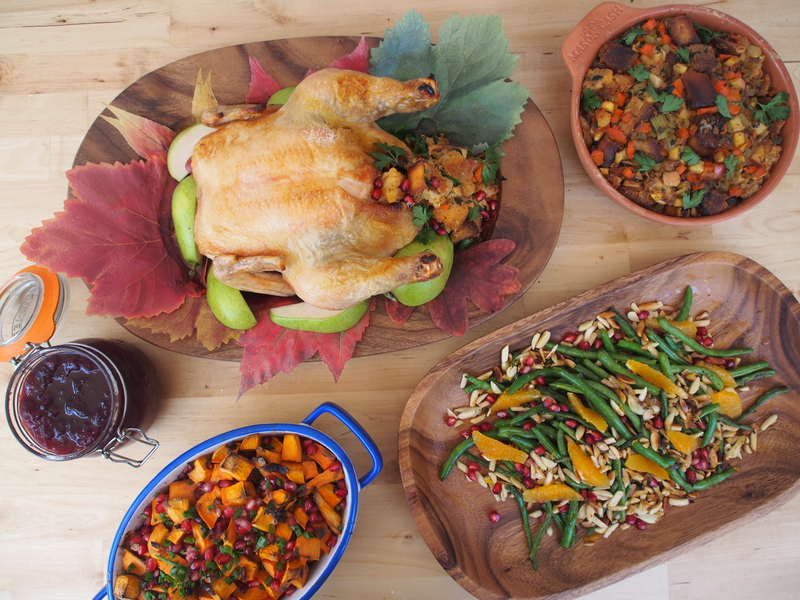 If you need more inspiration, keep checking our blog and our social media pages – we’ll be posting Thanksgiving recipes, tips and tricks until Thanksgiving day! Make sure to tag #PMTCHolidayTable for a chance to win a gift card to our site, too! This entry was posted on Thursday, November 6th, 2014 at 5:00 pm and is filed under Acaciaware, Entertaining, holiday, Recipes. You can follow any responses to this entry through the RSS 2.0 feed. Both comments and pings are currently closed.